Rashid had also troubled Chennai in the first qualifier with figures of 2/11. The 51-day long T20 carnival has finally reached its climax as two-time champions Chennai Super Kings (CSK) and Sunrisers Hyderabad will face-off in the summit clash of the 11th season of the Indian Premier League (IPL) at the Wankhede stadium here on Sunday. The Kane Williamson-led side overcame Kolkata Knight Riders’ challenge by 14 runs at the Eden Gardens on Friday to seal a place in the coveted final. Both the sides have met each other thrice in the ongoing edition of the league and the Super Kings hold a 3-0 record over their southern neighbours. In the much awaited final on Sunday, which could also be seen as a southern derby, it will be clash between Hyderabad’s bowling and Chennai’s batting. With the likes of Bhuvneshwar Kumar, Rashid Khan and Siddarth Kaul, the orange army boasts of a superb bowling attack whereas the yellow brigade is full of star-studded batting line-up comprising Shane Watson, skipper Mahendra Singh Dhoni, Ambati Rayudu, Suresh Raina and others. For Chennai, each of the batsman had rose to the occassion whenever their side needed. In their final league game at their adopted home ground in Pune on last Sunday, CSK rode on Suresh Raina’s gutsy half century to romp home by five wickets. Later, in the Qualifier 1, a match where most of the Chennai batsmen faultered against Hyderabad, opener Faf du PLessies smashed a match-winning half-century to help Chennai reach their seventh IPL final on Tuesday. Rayudu, the other opener in Chennai’s side, has been the standout performer with 586 runs. Australian Watson has also been in top form, accumulating 438 runs from 13 matches, while Raina, skipper Dhoni and all-rounder Deepak Chahar have been the backbone of CSK’s middle order. In the bowling front, the former two-time champions will bank on young South African lungi Ngidi, who has 6 wickets from 10 games with a decent economy rate of 5.90. Coming to Hyderabad, the orange army’s success mostly bank on their bowling which has a lot of variety and some of the best names in the business. Afghan spinner Rashid has been brilliant throughout the season bagging 21 wickets from 16 games. The leggie came up with a sensational figure of 3/19 against Kolkata last night apart from a quick-fire cameo of 34 from just 10 balls. On the batting front, top scorer of the tournament Williamson has led from the front. The New Zealand skipper, rated as one of the best batters of the current generation, has so far amassed 688 runs in 16 games at an average of 52.92. Williamson has also led admirably on the field. Opener Shikhar Dhawan has also been good, amassing 471 runs from 15 games and Hyderabad’s opening will mostly rely on him. The middle-order however, needs to find their touch for one final time in the league as Manish Pandey, Wriddhiman Saha, Shakib Al Hasan and Yusuf Pathan have failed to live up to the expectations. It will also be interesting to see whether Yusuf gets a chance in the playing XI in the mega final as the Baroda right hander has failed miserably in the present season, with just 215 runs from 15 games. Overall, it could be another edge-of-the-seat match on a Super Sunday for fans when the two best teams of this year’s league square-off for one final time. Chennai Super Kings- MS Dhoni(Captain/WK), Suresh Raina, Ravindra Jadeja, Faf du Plessis, Harbhajan Singh, Dwayne Bravo, Shane Watson, Ambati Rayudu, Deepak Chahar, KM Asif, Kanishk Seth, Lungi Ngidi, Dhruv Shorey, Murali Vijay, Sam Billings, Mark Wood, Kshitiz Sharma, Monu Kumar, Chaitanya Bishnoi, Imran Tahir, Karn Sharma, Shardul Thakur, N Jagadeesan, David Willey. 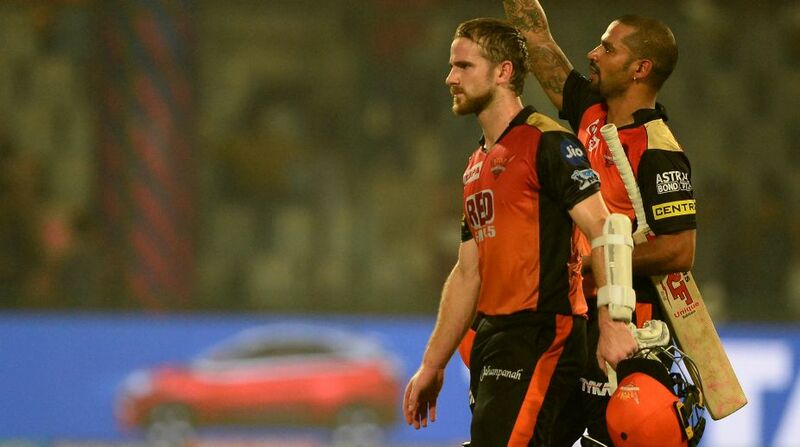 Sunrisers Hyderabad- Bhuvneshwar Kumar, Shikhar Dhawan, Shakib Al Hasan, Kane Williamson(Captain), Manish Pandey, Carlos Brathwaite, Yusuf Pathan, Wriddhiman Saha (WK), Rashid Khan, Ricky Bhui, Deepak Hooda, Siddarth Kaul, T Natarajan, Mohammad Nabi, Basil Thampi, K Khaleel Ahmed, Sandeep Sharma, Sachin Baby, Chris Jordan, Tanmay Agarwal, Shreevats Goswami, Bipul Sharma, Mehdi Hasan, Alex Hales.